Thomas J. Curry, a partner in Nutter’s Corporate and Transactions Department and a co-leader of the firm’s Banking and Financial Services group, will speak at CU Accelerate, a conference sponsored by the Cooperative Credit Union Association, on April 13, 2018. 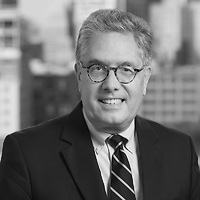 He'll be presenting on "Strategic Risk: Competitive Forces from FinTech Players," addressing Massachusetts, New Hampshire, Rhode Island, Maryland, and Delaware credit union CEOs and board members on FinTech at National Harbor, Maryland. CU Accelerate was launched in 2015 to give credit union decision-makers the opportunity to preview the latest and greatest products and services from companies that understand the importance of supporting the credit union system and the values it holds most dear.